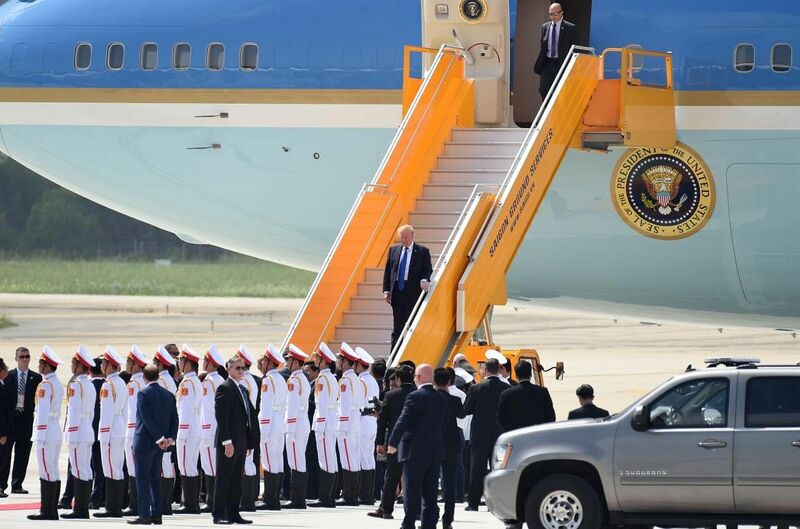 US President Donald Trump embarked on his first trip to Asia as leader of the United States on Sunday (Nov 5). The 12-day tour included stops in Japan, South Korea, China, Vietnam and the Philippines. 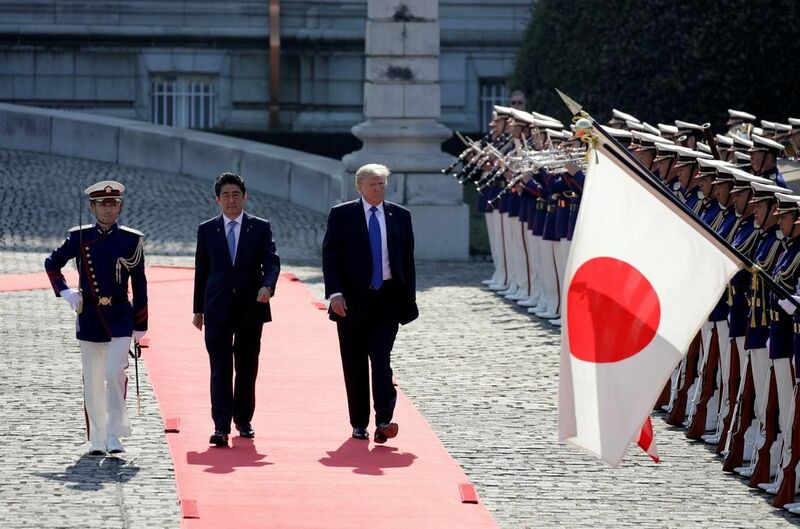 In Japan, Mr Trump fed koi with Japanese Prime Minister Shinzo Abe, met pop star Pikataro and played golf. 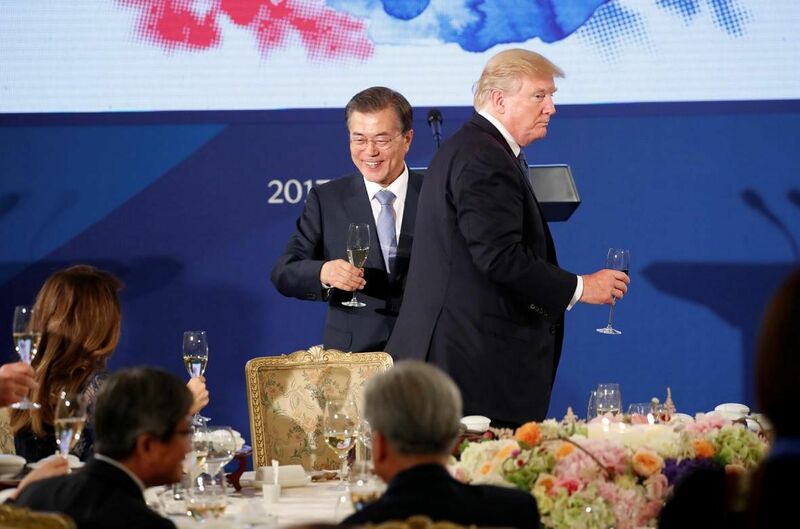 In South Korea, he made threats to North Korea but cancelled an impromptu Demilitarised Zone visit with South Korean President Moon Jae In at the last minute due to harsh weather. 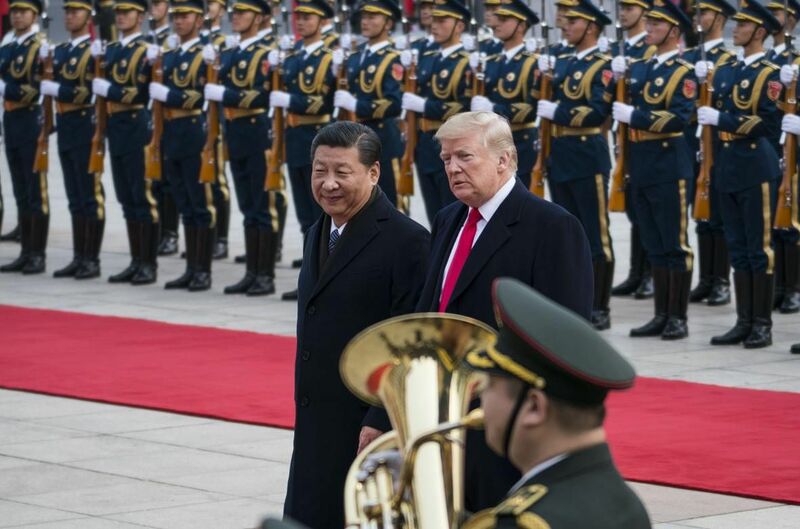 In China, Mr Trump was given a lavish "state-visit plus" welcome and drank tea with Chinese President Xi Jinping, while gushing over his adorable Mandarin-speaking granddaughter Arabella Kushner. 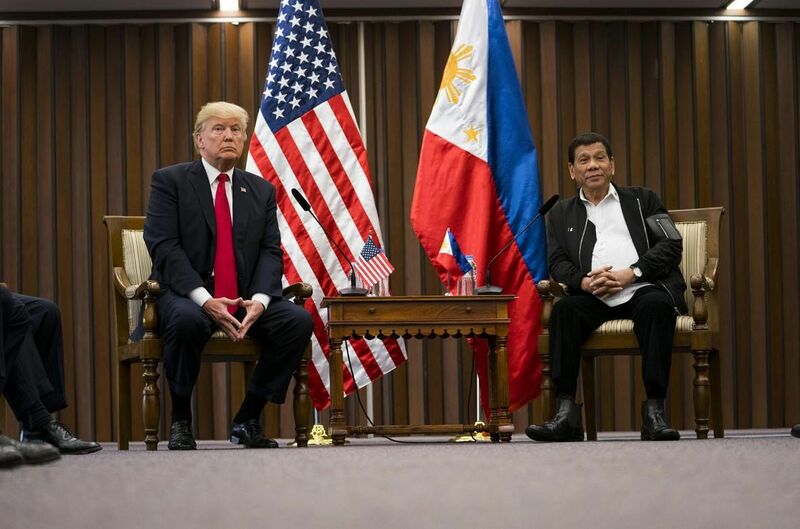 At the Apec forum in Vietnam, Mr Trump even made an offer to Vietnamese President Tran Dai Quang to mediate in the South China Sea territorial dispute and later in Manila, his bromance with Philippine President Rodrigo Duterte was on full display at the Asean summit. "No one, no dictator, no regime and no nation should underestimate... American resolve. Every once in a while in the past, they underestimated us. It was not pleasant for them, was it?" "I like him a lot. I call him a friend. He considers me a friend. With that being said, he represents China, I represent the United States." 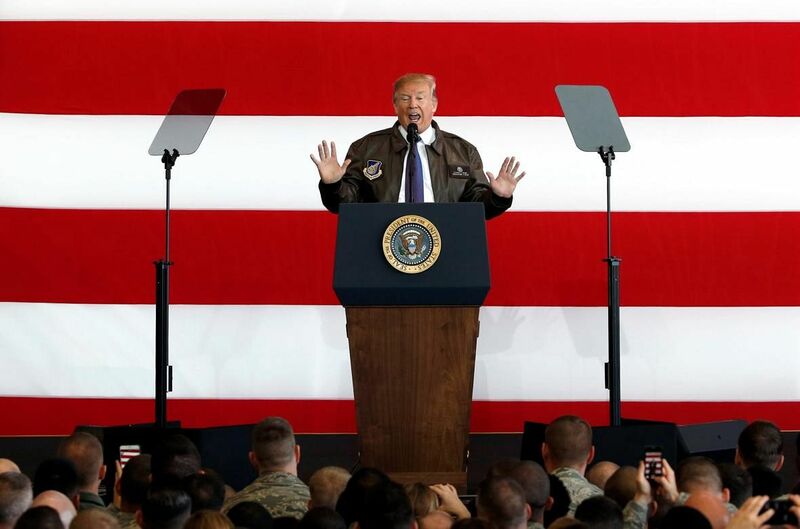 "The Prime Minister of Japan is going to be purchasing massive amounts of military equipment, as he should," adding, "He (Mr Abe) will shoot them (North Korean missiles) out of the sky when he completes the purchase of lots of additional military equipment from the US." "The regime has interpreted America's past restraint as weakness. This would be a fatal miscalculation... Do not underestimate us. And do not try us. ... The weapons you're acquiring are not making you safer, they are putting your regime in grave danger. Every step you take down this dark path increases the peril you face... North Korea is not the paradise your grandfather envisioned. It is a hell that no person deserves." "Our children so often remind us of our shared humanity and true dignity." 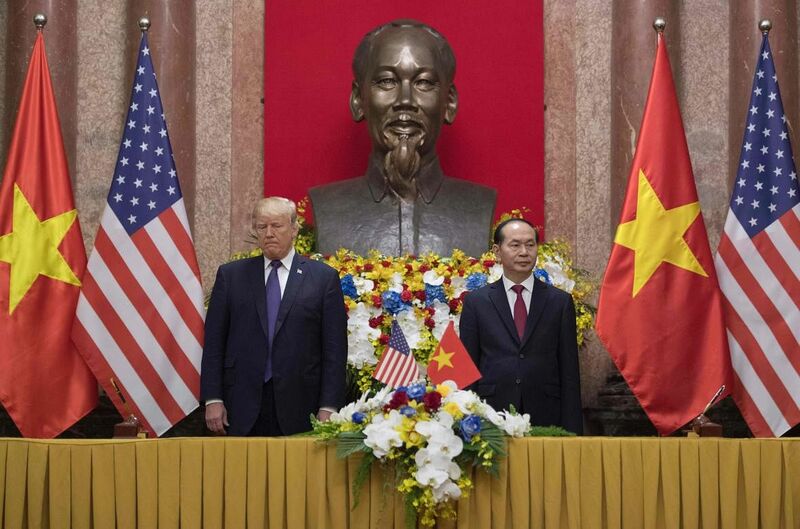 "The future of this region and its beautiful people must not be held hostage to a dictator's twisted fantasies of violent conquest and nuclear blackmail." "Why would Kim Jong Un insult me by calling me 'old', when I would NEVER call him 'short and fat'? Oh well, I try so hard to be his friend - and maybe someday that will happen!" "That might be a strange thing to happen but it's a possibility. If it did happen it could be a good thing I can tell you for North Korea, but it could also be good for a lot of other places and be good for the rest the world. It could be something that could happen. I don't know if it will but it would be very, very nice." "If I can help mediate or arbitrate, please let me know... I am a very good mediator and arbitrator." "It was red carpet like nobody, I think, has probably ever seen."